4 August 2016. 11am. It’s a beautiful day at 26°C with a continuous stream of gentle breeze passing through. I am seated at the balcony outside my bedroom in Sebes, Central Romania. Silviu and I are spending a month of our summer holidays with his parents in his southern Transylvania hometown. It’s peaceful here. The silence is mainly broken by the chirping of the birds, and the sounds of the tree leaves rustling in the breeze. Then, there is the sporadic clucking of the hens coming from the neighbours. Occasionally, the clucking is interspersed with the crows from the neighbours’ roosters and barks from the neighbours’ dogs. (My misunderstanding of roosters crowing only in the dawn has been corrected since I visited Romania). From where I am sitting at the balcony, I can see the landscape divided into 3 distinct rings. The innermost ring, which is just below the balcony is the garden. 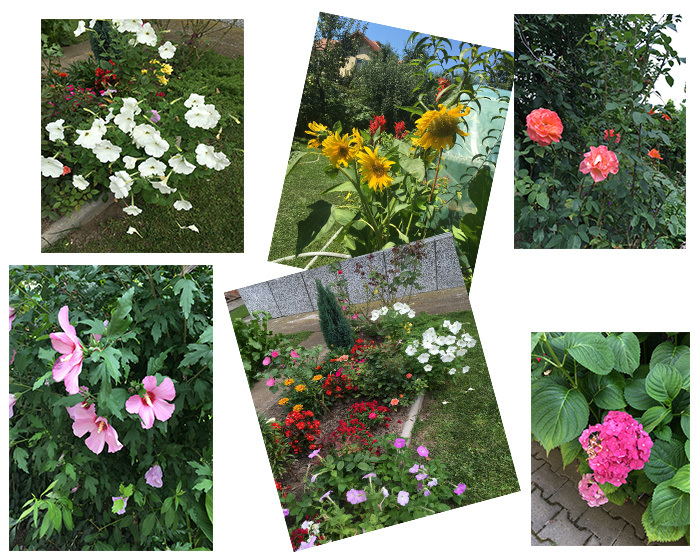 The garden is filled with a variety of flowers, fruits and vegetables grown by my in-laws. The intermediate ring is scattered with the reddish-brown roof tiles of the neighbours. The outermost ring is occupied by a range of low-lying hills that situates just in front of the Apuseni Mountains (translated as “Mountains of the Sunset”, also known as the Western Carpathian) which are 130km away from Sebes. 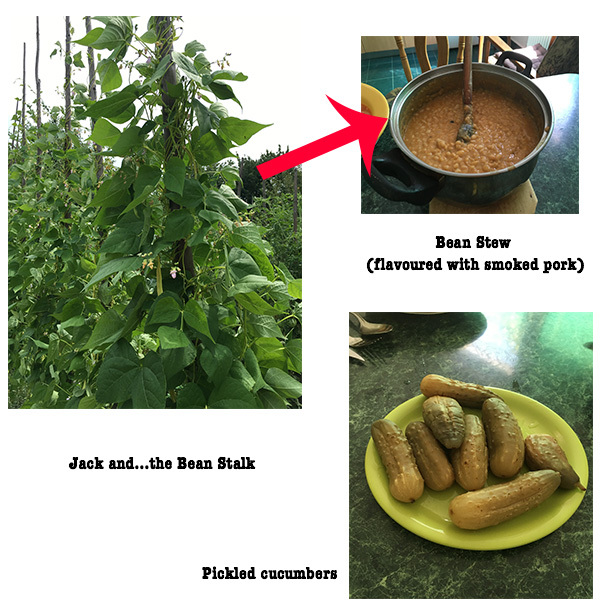 Th garden is also the source of some of the fruits and vegetables that I have been eating since last week: tomatoes for the salads and soups, pickled cucumbers, strawberry jam and strawberry ice-cream, raspberry soda, and beans stew. 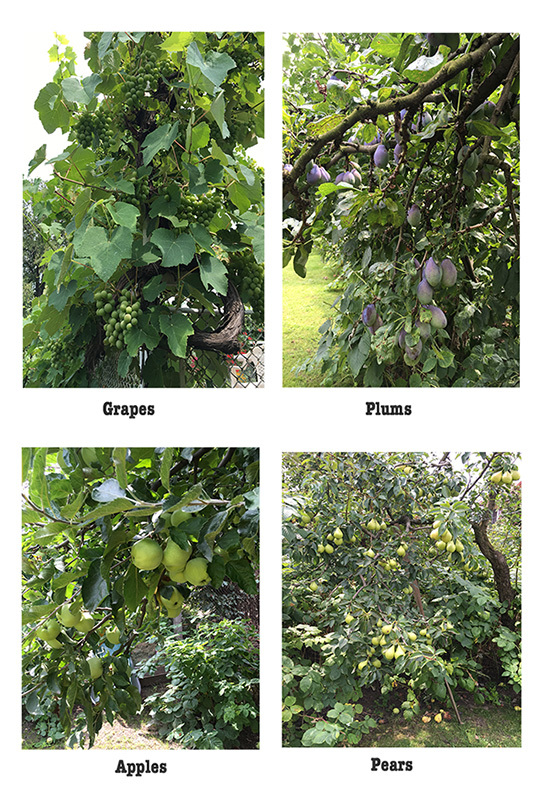 Apart from raspberries, there are also other fruits: apples, plums, and pears which are not in season. I have lived in developed cities around the world all my life. The scarcity of land in these cities makes living in houses with green space a luxury good, and thus unaffordable to me. Staying in apartments means that I have never had the fortune of hand picking fresh ingredients from the garden and integrating them in my meals. As such, the opportunity to live in the house with such a bountiful supply of fresh fruits and vegetable makes me feel like a kid receiving her Christmas presents! Tomatoes…the tomatoes here are so good that they deserve another mention. 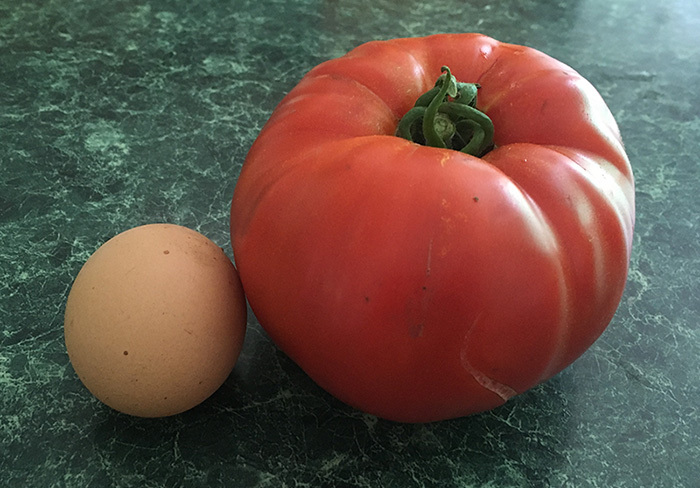 Being the city gal, most of the tomatoes that I see in the supermarkets are roundish and size of a tennis ball. The tomatoes here, are huge! Also known as beefsteak, beef or ox heart tomatoes, the tomatoes I see here can be heavy as 0.45kg, and as wide as 9cm! Tomatoes in general juicy, however, I discover that there can be two types of juiciness. The ones I find in the supermarkets are usually full of juice, but lack in pulp. When you slice these tomatoes to make salads, the salads turn slushy. 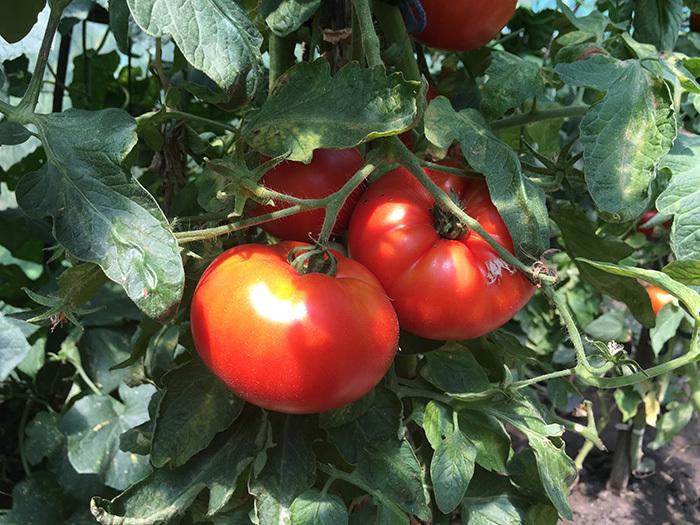 However, if you make salads with these homegrown tomatoes, you will get a salad with plenty of sweet, fleshy pulp! Perhaps it’s the absence of any man made chemicals used to grow these tomatoes, the tomatoes are especially sweet. Toss these tomatoes with some onions, a splash of basil, and a pinch of salad, you will get a delicious, refreshing, simple-to-made salad for the hot summer days!